The Maruti Dzire petrol AMT is available in three trim levels - VXi, ZXi and ZXi+. The Maruti Suzuki Dzire VXi AMT, which is the entry-level petrol automatic version, is priced at Rs 6.76 lakh (ex-showroom, New Delhi, as of April 18, 2017). Over the base LXi trim, the VXi variant gets chrome surrounds for the front grille and body-coloured ORVMs, along with faux wood and brushed aluminium-like inserts on its dashboard. In terms of features, it gets a Bluetooth-enabled four-speaker audio system with steering-mounted controls and manual air conditioning with rear AC vents. Also offered is a rear centre armrest, power windows, a rear power socket and electrically adjustable ORVMs. The front seats get adjustable headrests and it also offers a height-adjustable driver seat. 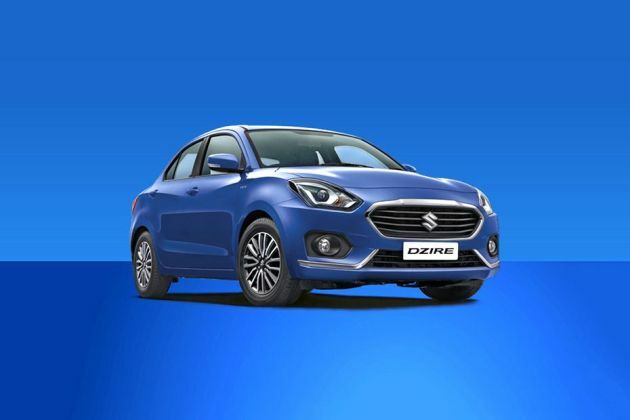 As far as safety is concerned, all variants of the Dzire, including the VXi petrol AMT, come with dual-front airbags (driver and front passenger) along with ABS (anti-lock braking system), EBD (electronic brake-force distribution) and brake assist. Further, the Dzire also comes with child seat anchors and seat belts with pre-tensioner and force limiter as standard. The 1.2-litre K-series motor which powers the automatic versions of the petrol Dzire is one of the most common engines in Maruti's lineup. The 1,197cc, four-cylinder petrol motor puts out 83PS of max power and 113Nm of peak torque and is mated to a 5-speed AMT (automated manual transmission) in the Maruti Suzuki Dzire VXi AGS automatic. The ARAI-certified fuel efficiency of the Maruti Dzire VXi automatic is 22.0kmpl, which is identical to its 5-speed manual counterpart. The Maruti Suzuki Dzire petrol AMT automatic goes up against the Hyundai Xcent 1.2 Kappa Dual VTVT automatic, Honda Amaze CVT and the Ford Aspire 1.5 automatic.